The Australian Treasury’s recent update to its working paper Estimating The Structural Budget Balance Of The Australian Government, makes for interesting reading. Interesting, in that it provides all the reason needed to put a broom through the entire department. 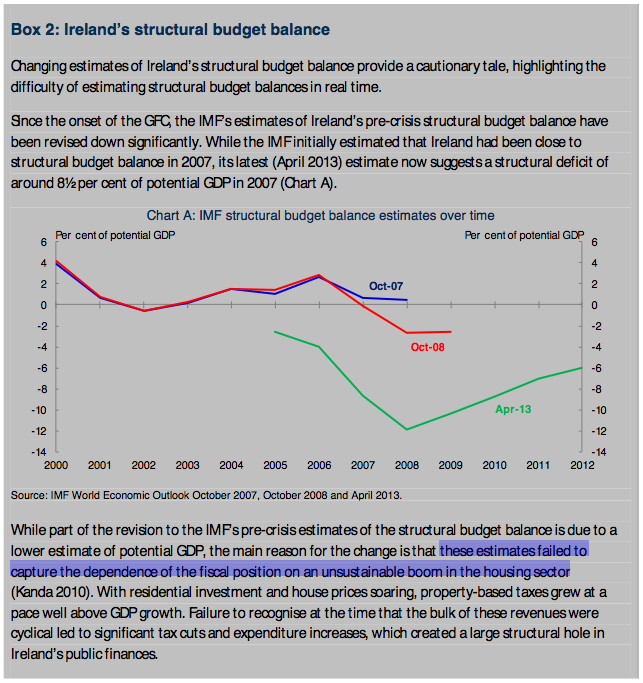 Changing estimates of Ireland’s structural budget balance provide a cautionary tale, highlighting the difficulty of estimating structural budget balances in real time. Since the onset of the GFC, the IMF’s estimates of Ireland’s pre-crisis structural budget balance have been revised down significantly. 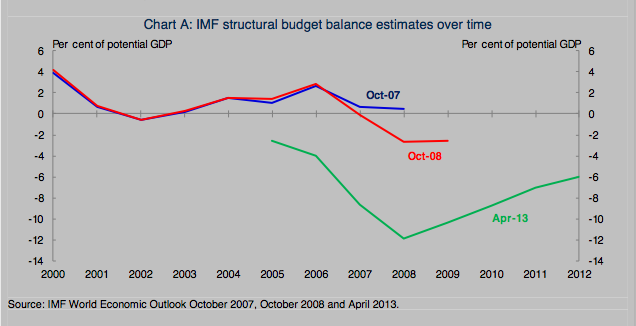 While the IMF initially estimated that Ireland had been close to structural budget balance in 2007, its latest (April 2013) estimate now suggests a structural deficit of around 8½ per cent of potential GDP in 2007 (Chart A). Alas, the ivory-towered Treasury wonks fail to see that this is not just Ireland … this is Australia they are talking about. They are too busy obsessing over the process of estimating the structural budget balance, to notice the stark similarity in what has actually happened out here in the real economy. The key point to draw from the analysis is not the specific year in which the [Australian] budget returns to structural surplus, but the steady improvement over time. Indeed, international experience has illustrated the difficulties in disentangling temporary and permanent economic influences on the budget, which cautions against overreliance on point estimates of the structural budget balance (see Box 2). The “international experience” does not caution against “overreliance on point estimates”. It cautions against allowing “an unsustainable boom in the housing sector … with residential investment and house prices soaring”. It cautions against government fiscal policy that relies on “property-based taxes” growing “at a pace well above GDP growth”. It cautions against “failing to recognise at the time that the bulk of these revenues were cyclical”. It cautions against “significant tax cuts and expenditure increases” creating “a large structural hole in Australia’s public finances”. It also cautions against something else. Allowing technical wonks, with no real world business experience, no commonsense, and no wisdom, to be employed in what is arguably the most important department in the Australian Government. Is it any surprise that Treasury cannot get any of its budget estimates and projections within a bulls roar of reality? Their over-educated eggheads cannot see the forest for the trees. Here is another striking similarity with Ireland, that Treasury doubtless has not noticed either. The continued strong expansion in real estate loans—at least relative to other lending segments—has raised some eyebrows. The Australian banking sector has the highest exposure to residential mortgages in the world… The high degree of exposure to the domestic mortgage market raises many concerns. Recent experience has shown that house prices can fall significantly and trigger serious banking meltdowns. But what are the chances of a similar housing collapse in Australia? Many international analysts think the chances of an antipodean housing bust are quite high—it would take a bold economist who has been in a decade-long coma to declare that an Australian housing correction was impossible. When trends in Australian house prices are compared globally, the signs look worrying. House prices have increased for longer and faster than in many of the markets where prices cratered during the Great Recession. With even our panglossian Labor government now predicting rising unemployment, does all this sound rather like Ireland to you? 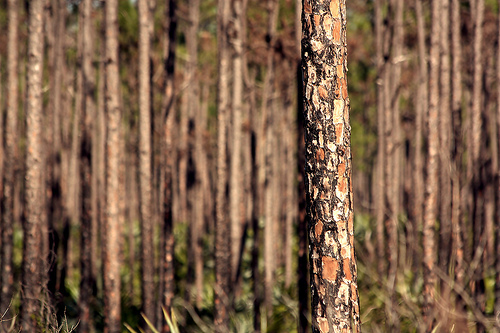 Can you see the forest … or only the trees? The Global Financial Crisis peaked in 2008-09. Since then, the ALP has relentlessly talked up the “strength” of our economy — by comparing to basket-case northern hemisphere countries — and by extension, the brilliance of their economic management. Many hundreds of times, they promised a “return to surplus”. And fair enough too. After all, our economy was — so they said — the “strongest advanced economy” in the world. We had a “huge pipeline of investment”. And record-high Terms of Trade (ToT), from a Chinese stimulus-fuelled mining boom. A mining boom that — so they said — would give us a period of “unprecedented prosperity”, “stretching to 2050”. After all, their leader is fluent in Mandarin. And yet, despite all this … no surplus. Only more, and deeper deficits. 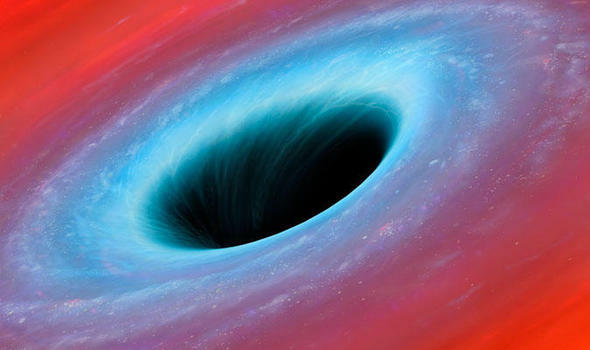 Yesterday, they admitted that their latest budget — released less than 3 months ago — has already developed a $33 billion black hole. Word is, they are now going to call an election, for September 7. So we should, perhaps, pause for a moment to reconsider the strength of our supposedly “strong economy”, according to the ALP’s own words, and their own yardstick. And their newest revised forecasts, showing deficits to 2016/17, tells us that 3 more years of their brilliant economic management won’t help. By their own measure — a budget surplus — the economy has not “recovered”. And with their revised “forecasts” now predicting rising unemployment, and no surplus till 2016/17, there is no hope in sight for an economic recovery. Under their management, at least. The lying is without end. Ms Gillard said both state and federal revenues had been hit hard by the global financial crisis and were in the same boat. “For the federal government, our revenues have been hit by $140 billion – it’s an extraordinary amount of money. “(But) we have matched all of our expenditure with savings since mid-2009 – that’s the hard work of government. No, that’s two lies in two sentences. First, as we have seen previously ( Wayne’s “Per Cent Of GDP” Lies Debunked, Our Media In $140 Billion Lie For Wayne ), “our” total government revenues have actually gone up, by $23.67 billion in 2010-11 vs 2007-08 (pre-GFC). And for this year 2011-12, the government’s November ’11 forecast was for an increase in Total Revenue of $37.41 billion vs 2007-08. The truth is, the only thing that has been “hit”, is the Treasury department’s wildly exaggerated May Budget forecasts. You know … those grand annual smoke ‘n mirrors performances, where the Treasurer tells the nation what a great job he is going to do in the next year, using deceitful words that project an appearance that he has already achieved it … and then, never actually does it. As we have also seen previously, the government’s Expenditure has blown out by a whopping $91.64 billion versus 2007-08. But in Gillard’s statement, she claimed that the ALP has “matched all of our expenditure with savings since mid-2009”. In the 2009-10 financial year, the government spent $339.23 billion. In the 2010-11 financial year, the government spent $356.1 billion. And this year, the government most recently forecast that they will spend … wait for it … $371.74 billion. So, they spent $16 billion more in 2010-11 than they did in 2009-10. And they expect to spend $31.58 billion more this year, than in 2009-10. But Gillard claimed that Labor has “matched all of our expenditure with savings” since mid-2009?! But let us be generous. 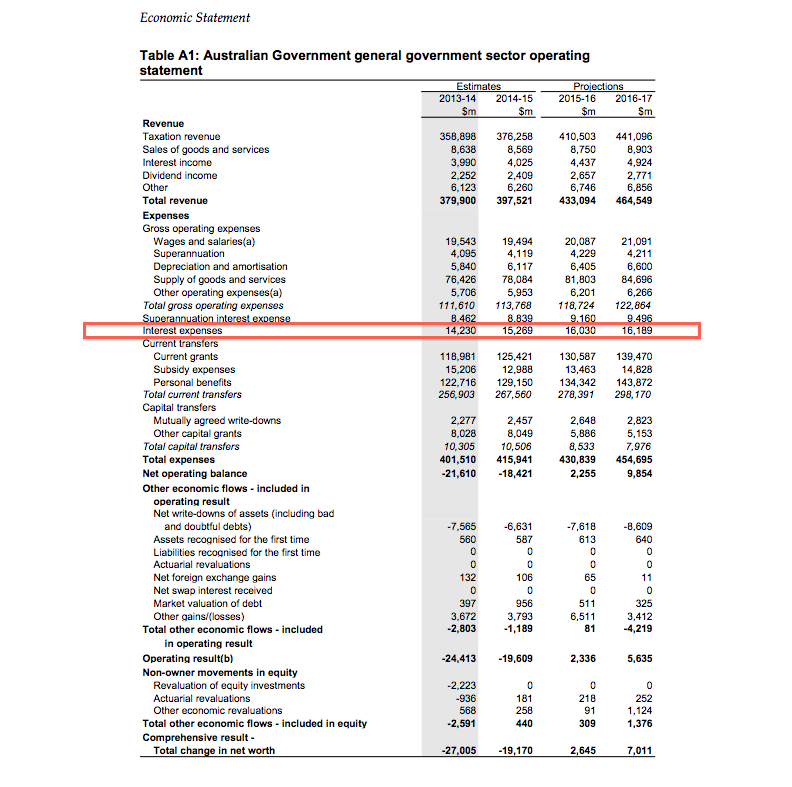 Can Gillard show us where the government actually “saved” $16 billion in 2010-11, and $31.58 billion this year? That is, savings equivalent to the extra government spending in those years, versus the year she referenced, 2009-10? The simple truth is, this government has spent more (borrowed) money, every single year since coming to power. And, they are bringing in more Total Revenue than ever before. This government’s mode of lying about the budget is very simple. Every claim they make about “falling” revenue, or “write-downs” to revenue, or “hits” to revenue, or revenues supposedly “lost” to “global economic turmoil” or “the floods” or this or that or the other, is a lie. Actual government revenue in total, is UP. It is only “down”, or “lost”, by comparison to their wildly exaggerated annual May budget “forecasts”. And every claim they make about government spending, is also a lie. They are spending literally tens of billions more money now, four (4) years after the GFC, than any Australian government has ever spent. Every statement uttered by this government about the budget, and its economic management, is a lie, distortion, or misdirection. I have never witnessed a more corrupt, more blatantly and repeatedly dishonest pack of politicians in this country in my lifetime. Shadow Finance spokesman Andrew Robb is giving me ever more reasons to be thankful. First, he is honest enough to not bullsh*t about the future. Instead, he simply tells a journalist in a TV interview the plainly obvious truth – that it is impossible to say when the Coalition could get the budget back to surplus, because “who knows what the state of the books will be” when the next election is held. Please do watch the interview. I was deeply impressed above all else by his frank honesty. And by the fact he was essentially right, on almost all points. Then, he joins Barnaby Joyce in researching and presenting a wise and innovative plan to build dams across the country, and especially in our monsoonal North, and avoiding increases in government borrowing to achieve it by bankrolling the costs via partnership with mining companies. Not unlike the Norwegian model for nationalisation of their natural resources, which I have long advocated we should follow. Then, he goes against his own leader and party to fight for the interests of struggling small businesses, who are going bankrupt in record numbers. Mr ROBB (Goldstein) (15:19): Over the last 10 years in office, Labor has never delivered a surplus. In fact, it has racked up a total of $241 billion worth of deficits— or a quarter of a trillion dollars—over those 10 years of wall-to-wall deficits since 1989. This compares with $103 billion of cumulative surpluses over the last 10 years of coalition government. To go from such a surplus to such a deficit and to have nothing to show for it is what Australians find unbelievable and unforgivable. Yet, if you listen to Australia’s lightweight Treasurer, you would think all was well. It means that we all have to look beyond Labor’s spin and instead look at the facts because Labor has turned sophistry—clever but deceitful arguments—into a fine art. Today I would like to provide just three examples of potentially hundreds of examples of this sophistry. I highlight the deceit of Labor’s stimulus claims, I highlight the deceit of Labor’s spending claims and I highlight the deceit of Labor’s surplus claims. Let us look at Labor’s stimulus claims. A report out today by the Australian National Audit Office once again suggests that the mammoth $87 billion spending splurge failed to boost growth as promised or, as endlessly claimed by our lightweight Treasurer, that the overall stimulus meant that Australia avoided a recession in 2009. The auditors found that the last of the payments under the inspired Greens initiative to create jobs by building bike paths, a key part of the $650 million so-called Jobs Fund, unveiled at the height of the GFC, was not expected to be made until next month. This is almost two years after the funds were meant to have been spent and a full three years since the end of the first quarter of 2009, the quarter that would have confirmed a recession following the negative 0.7 per cent growth quarter at the end of 2008. The Audit Office actually rebuked the government for not ensuring that taxpayer funds delivered the economic gain. A similar audit from 10 July of the separate $550 million regional community infrastructure project found the cash was spent too slowly to ensure the gains first claimed—the sorts of claims we have heard ad nauseam in this place for three years now. We know Treasury confirmed that a massive $10 billion of stimulus money was still to be spent this year, 2011-12. These are the facts as distinct from the spin. By the way, it is all borrowed money which will not be repaid for years and years. The Orgill report into the $16 billion school funding program showed that spending began several months later than planned and it is still being spent to this day—several years after the GFC. One-ninth of the stimulus was spent towards the end of the one quarter of negative growth, which was the 2008 December quarter. We supported that first stimulus because of the collapse of confidence. In fact we suggested how it should be spent. Despite the nonsense peddled by our lightweight Treasurer, a Treasurer so far out of his depth. The DEPUTY SPEAKER (Ms AE Burke): Order! The member for Goldstein will refer to the member appropriately. Mr ROBB: Despite the absolute nonsense peddled by our Treasurer, a Treasurer so far out of his depth, a Treasurer who claims that the stimulus was the reason Australia avoided a technical recession, almost all the stimulus was spent after the economy was bouncing back, which it was by the end of the first quarter and the start of the second quarter of 2009. It was the automatic economic stabiliser of the exchange rate and the work of the Reserve Bank which restarted our economy. In the first quarter, you might recall, our exchange rate fell to 60c against the US dollar. We all understand the significance of that now. It is not a surprise that the biggest trade surplus in Australia’s history came in that first quarter of 2009—in the middle of the global financial crisis. Then the Reserve Bank cut interest rates—not only cut but slashed. They took 4.25 percentage points off interest rates between September 2008 and April 2009. The stimulus money had not been spent, but by April 2009 the pockets of households had more in them than they had ever had as a result of the 4.25 percentage point cut in interest rates. The interesting point is that seven months later, in November 2009, when some of the spending was starting to take place, interest rates were back up by 3½ percentage points. Why was that? It appears the Reserve Bank was worried about overspending in the economy. The RBA had reduced interest rates by 4.25 percentage points—that got us going—but by the time the money was being spent out of the government’s $87 billion stimulus, they were reducing interest rates due to worries about overspending. These are the facts as distinct from the spin. By the way again, it was all borrowed money and it will not be repaid for years and years. This deceit has been used to justify borrowing and spending of $87 billion and more. All that has meant is that the government has been in the market borrowing $100 million a day ever since. The effect has been to push up interest rates for households and for small and large businesses; push up our exchange rate; ensure that many small and medium sized businesses have not been able to access finance for love or money, many going to the wall as a consequence; and make Australia highly vulnerable to any—even a reasonably modest—downturn in commodity prices. That vulnerability is due to our huge structural deficit, a deficit which is twice Germany’s and even 30 per cent worse than Italy’s, would you believe. Yet you never hear our Treasurer talk about structural deficits. Do not lecture us about transparency. The rest of the world, especially Europe, talks—is consumed with concern—about structural deficits. The Treasury are not even allowed to produce a figure for the structural deficit. The words have hardly ever even passed the Treasurer’s lips in this place. This is yet more spin. Let us look at the deceit of Labor’s stimulus claims. I could recite a litany of issues which have not been addressed by this government, yet they continue to parade this nonsense that the stimulus had some effect. It has had an effect; it has had a deeply negative effect over the last three years and it is contributing to the huge debt hanging around the neck of every Australian. Let us look at the deceit of Labor’s spending claims. The government’s response to every problem has been to tax, borrow and spend, spend, spend and then to do high fives after they have passed each tax and spin it as reform. The government should be paying down debt to position Australia for some of the best and most extraordinary opportunities—across virtually every sector, including manufacturing—which are emerging in the Asia-Pacific. They should be paying down debt to weatherproof Australia’s economy against growing volatility on world financial and commodity markets—as the Howard-Costello government did ahead of the global financial crisis. That is why we got through the global financial crisis—we went into it with a $20 billion surplus and with a balance sheet that was $70 billion in the black. That and the automatic stabilisers are why we got through it, not the politically inspired stimulus spending which we are still suffering from and which businesses are still suffering from. Instead, this Treasurer who is out of his depth has consecutively delivered the four biggest deficits in Australia’s history—$27 billion, $55 billion, $48 billion and $37 billion. I will not be surprised if that $37 billion blows out a lot further to help manufacture a surplus for 2012-13. Under Labor, annual spending has grown from $272 billion in 2008 to an estimated $370 billion this year. That is an increase of $100 billion in just 4½ years—$100 billion out of a budget which started at $262 billion. That is a 40 per cent increase. I suppose they would say it has kept pace with inflation, but inflation over those 4½ years was only 13½ per cent. Despite all that, they are increasing spending again this year. Forget the stimulus for a moment. Let us say that the stimulus was warranted, that it has not brought thousands of small businesses to their knees because they cannot get finance as a result of having to compete against a government borrowing $100 million a day. You would think that, after they had spent the money on the stimulus, they would come back to something like the long-term level of spending, would you not? That is what a household would do if they had put an extension on their house. The next year they would come back to their long-term level of spending. Under this government the deficit has gone up and up—$87 billion, but they could better that. Now they are at $100 billion more than they were spending 4½ years ago. That is why they never talk about expenditure. This Treasurer is out of his depth and he never talks about expenditure. This government has had two to three per cent more over expenditure than previous governments as a percentage of GDP every year, on average, for 4½ years. Look at the facts, not the spin. So much for fiscal consolidation. It is a monstrous amount of money, much more than the $87 billion. This government has spent $70 billion over and above that $87 billion they have spent above the long-term spending trend. And they talk about fiscal responsibility. This fiscal consolidation line is, again, more spin. Labor’s third outrageous line of spin is its claims about the surplus. Labor has been boasting for three years about its projected 2012-13 surplus while delivering the biggest deficits in our nation’s history. You will hear it again this time—they will brag about a surplus that they have never delivered and try to bury one of the four biggest deficits in our history. In fact, a detailed look at their budget figures shows we have every reason to treat the surplus, if we ever see it, as thoroughly dodgy and thoroughly manufactured. It is a product of accounting tricks to shuffle money and hide spending to keep it off the budget bottom line and engineer the appearance of a surplus next year. Let me give just one of the many examples that I documented in a speech last Friday to VECCI. Labor accept that their damaging carbon tax poses a threat to Australia’s energy security, and in response they will spend over $1 billion this year, 2011-12, to support energy markets through its Energy Security Fund. Jump forward two years, to 2013-14 and 2014-15. They will spend another billion dollars in each of those years. What happened in the middle? What happened to 2012-13? Apparently the carbon tax magically poses no threat to energy security in 2012-13. They are spending 1,000 times less—$1 million, not $1 billion. So it is a billion, one million, a billion, a billion. I could take you through 34 examples of very obvious cases where they have done this. Again and again they have brought spending forward or they have pushed it back into those two years. Get up and answer those claims. Explain to us why it is a billion, one million and then a billion, a billion to alleviate the threat to business from the carbon tax. This Treasurer has been pulling forward expenditure for two years and now it is being pushed out from 2012-13 into the subsequent two years, and he does not think anyone is looking. A forensic examination of the budget papers shows dozens of examples of this sort of chicanery. It is one reason why Labor’s claim to be delivering a wafer-thin surplus in 2012-13 should be taken with a very large grain of salt. All these things add up to tens of billions of dollars. In fact, whatever they come up with in May, the real truth will be tens of billions of dollars more in deficit. This is a government that has practised and perfected the art of spin. The DEPUTY SPEAKER (Ms AE Burke): The last comment was not worthy of parliament. Note that well, dear reader. An impassioned plea to look beyond the lies and deceit to the evidentiary truth, is deemed to be “not worthy of parliament”. Could there be any better exemplar of just how completely rotten-to-the-core our political system is? Thank God for Andrew Robb. * About that video above, where Andrew Robb asks the government about their having spent $578,000 on a study into “an ignored credit instrument in Florentine economic, social and religious life from the 1500’s” … WTF?!? If any reader has more information about this scandalous squandering of more than half a million dollars in borrowed-from-foreigners money – that you and I will have to pay back, with interest – please let me know in comments. A study of “an ignored credit instrument in Florentine economic, social and religious life from 1570 to 1790” secured $578,792 for a researcher from the University of Western Australia. Another project titled “Sending and responding to messages about climate change: the role of emotion and morality” by a Queensland university secured $197,302. The council said it was an important psychology project. The study to determine if birds are shrinking was awarded $314,000 and another of sleeping snails to determine “factors that aid life extension” was given $145,000. Studying the early history of the moon will cost taxpayers $210,000 and another study looking at “William Blake in the 21st century” comes with a $636,904 bill. 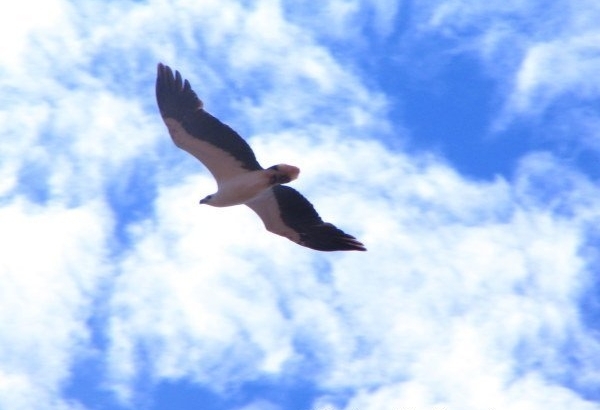 “At a time when every available dollar could be put to backing innovation and research and development to make us more competitive, we have seen a growth in support for some real eyebrow-raising activities,” opposition finance spokesman Andrew Robb said. “Australian Research Council criteria has been extended beyond the scientific, the innovative and the practical to include some real airy-fairy stuff.